With up to 4,409 pounds of maximum towing capacity, the 2019 Land Rover Discovery Sport is a compact yet rugged Land Rover SUV that’s great for transitioning between everyday South Brunswick commutes and special trips with a camper or boat. Learn more about the Discovery Sport towing capacity at Land Rover Princeton and schedule a test drive to experience the capability in person. How Much Can A Land Rover Discovery Sport Tow? The 2019 Land Rover Discovery Sport can tow up to of 4,409 pounds when properly equipped at each trim level, and the combined vehicle and trailer maximum towing capacity can be as high as 9,931 pounds. 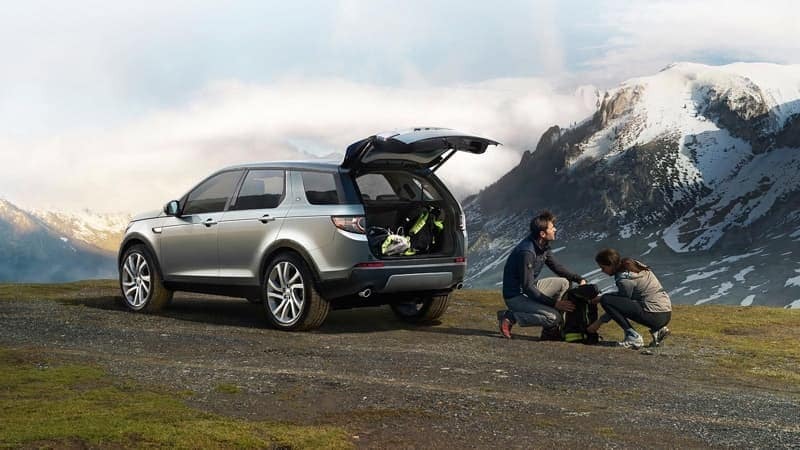 With all seats folded up, the Discovery Sport offers a cargo capacity of 34.5 cubic feet in the trunk. To maximize your hauling power, fold the rear seats down for 62.7 cubic feet of cargo capacity, or get optional equipment and accessories like bike racks and roof racks. What Discovery Sport performance specs make towing possible around West Windsor? Terrain Response®: Select one of the drive modes to best tailor your Discovery Sport to your driving style. Hill Descent Control (HDC®): This system helps maneuver your Discovery Sport down steep hills keeping control in your hands. Adaptive Dynamics: With advanced MagneRide™, this system monitors on and off-road movement to analyze the road inputs, ultimately giving you more control. Torque Vectoring by Braking: In order to enhance agility and stability when turning or navigating rough corners, the distribution of torque balances between all four wheels for improved grip. All-Terrain Progress Control: Maintain a steady speed using this technology so you can focus more on the control. Explore this model in more detail by learning more about the Discovery Sport interior, and before you visit your local authorized Land Rover dealer be sure to check our current special offers to get a great deal on your next purchase.